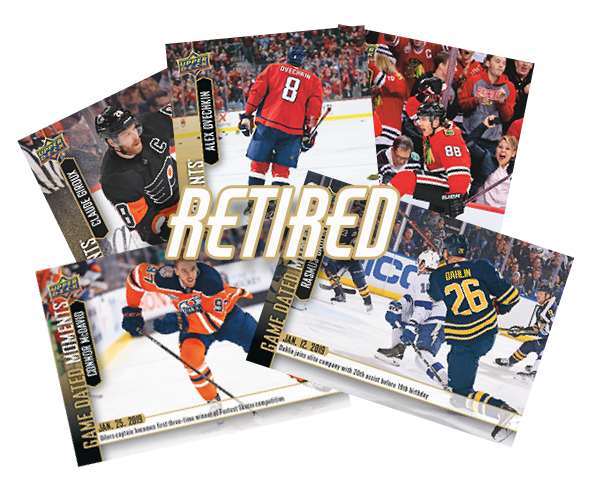 To unlock and purchase these packs, simply add any available hockey trading card product on e-Pack to your cart. 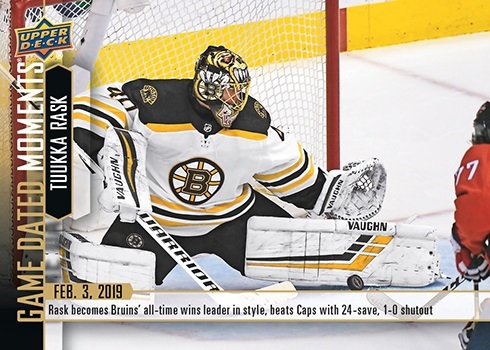 * This week’s pack of 2018-19 Game Dated Moments cards will be available for purchase in the Upper Deck e-Pack® Store until 2/15/2019 at 8:59 am (PST). Tuukka Rask, one part of the two headed goaltending monster from the 2011 Stanley Cup Finals Championship run along with Tim Thomas, cements himself further in Bruin’s folklore after passing Tiny Thompson for most wins in a Bruin’s uniform with 253 as he shuts out the Capitals and helps Boston end a 14-game losing streak versus the defending champs that dated back to 2014. Head to the STORE to get your Game Dated Moments now!